Accounting and book-keeping is a fundamental string to a virtual assistant’s bow. It’s something that arises frequently as part of our work with a huge array of local businesses.So it is clear that we at Starfish Admin Services have a good knowledge of accountancy processes. We regularly assist business owners in instigating systems and running their financial management. 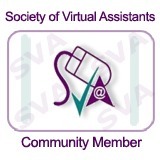 When it comes to a firm specialising in accountancy itself, then, is a virtual assistant the correct source of support? We are delighted to confirm that - yes - at Starfish we certainly are! Our skills in accountancy and book keeping allow us to supply specialist support at the highest level. This accountancy business sought assistance due to an increased workload. As a consultancy business working on a contractual basis for external clients, an increased workload is not always permanent. In this way, it was impractical for this dedicated accountancy organisation to employ permanent staff. The key for a specialised business such as this is in experience of software and working practices. We quickly integrated into this business’ processes, allowing our presence to have a positive impact from the outset. This means that no valuable time was wasted in detailed training programmes. Instead, the business simply benefits for the duration of time that it needs to. We know that the ebb and flow of contracted business means a demand for flexibility of support. This is especially true for an accountant, as the financial year is rigidly set. Busy times could be towards the end of the fiscal year or even at the end of each quarter. We are able to quickly provide skilled support during this period which means that the targets of our client are successfully achieved. At Starfish Admin Services we ensure that our skills training programmes are always up to date. In this way, we provide seamless support to businesses, such as accountancy, that are dependant on specialist software. This is great for us, and great for the business.